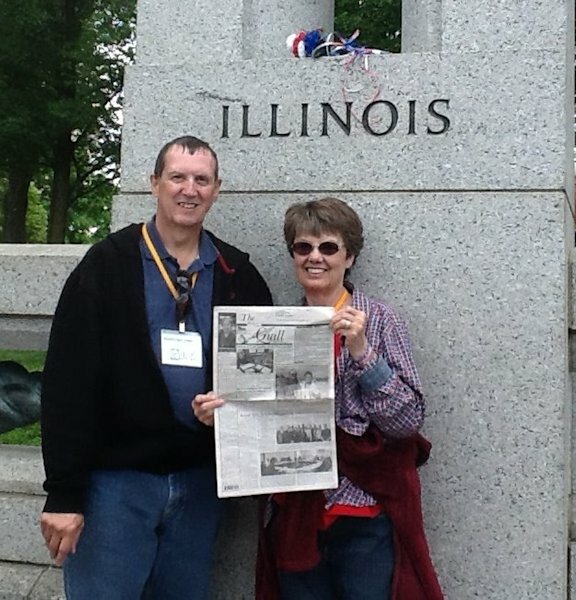 David Doty and Connie (Davis) Doty from Montrose, Iowa, recently took a copy of the Quill along when they visited the World War II Memorial in Washington DC and are standing in front of the Illinois column. Connie is formally from Smithshire. They had an enjoyable trip.